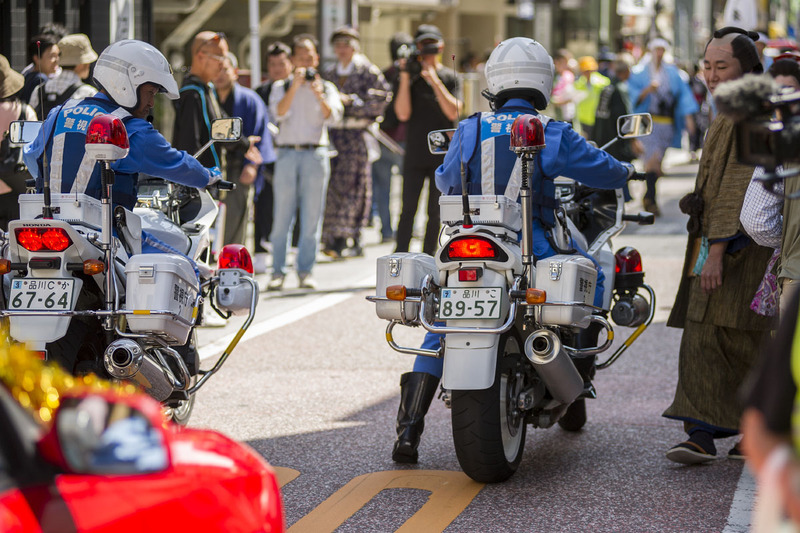 At the Shinagawa Shukumatsuri a couple of weeks ago I happened by chance to be right at the spot where the police parade was assembling. One of the members of the parade was the famous TV announcer and show hostess Yuri Takami (高見侑里). She has quite a fan base and there were photographers and autograph hunters everywhere! I was the only foreigner in the crowd and still managed to get the best spot and even a mention in one of the speeches. She is currently on two famous TV morning shows, the Mezamashidoyobi (on Saturdays) and the Mezamashi Terebi Akua (めざましどようび, めざましテレビ アクア). You can see her in a Nissan Commercial here. Why the police uniform? 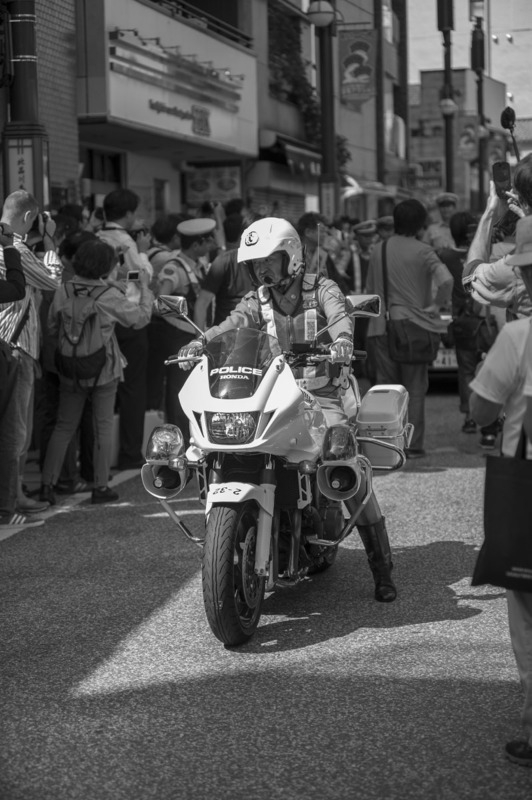 In order to promote the police and fire brigades here in Japan their PR departments have invented a “Police officer for a day” program where celebrities and notable locals (almost always young ladies) take part in parades and various performances as an honorary police officer for a day. It seems like a nice project to take part in and one of my friends who did was happy to show me the memorabilia she received as thanks, quite cool stuff. Of course it is all in good fun and none of the participants are given any real police power. In this case Ms. Takami got to ride in an open care with the local chief of police and just look smashing in her uniform. You was mentioned in a speech? Nice photos of a cute subject, especially the first one was a nice catch! She sure makes a cute police officer.